Barrier Group is a leader in the design, manufacture and installation of car park and industrial safety products. Now the company that the industry turns to for speed humps, wheel stops, bollards, guard rails and height bars etc. can also offer a comprehensive line marking service to complete any project. 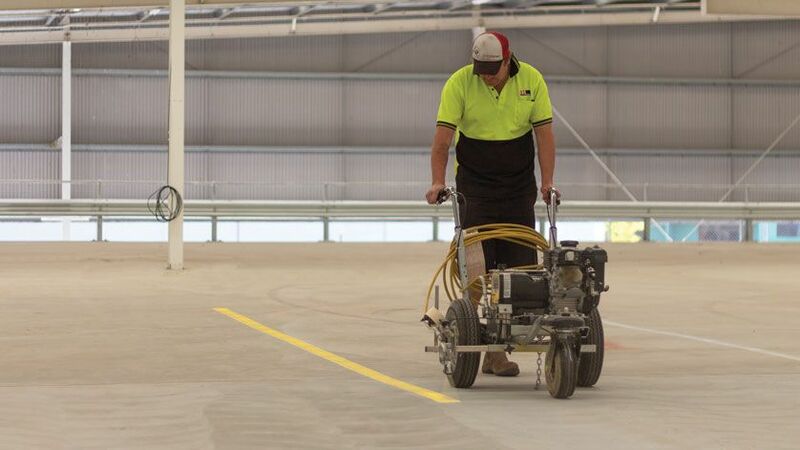 Specialising in industrial and commercial environments, we are able to satisfy all your line marking needs, including car parks, vehicle/pedestrian separation, warehouses and production areas in Melbourne and surrounding districts. From Consultation to Completion with all the products you need - Barrier Group is the 'one-stop-shop!"